This has been pending for 2 months now. 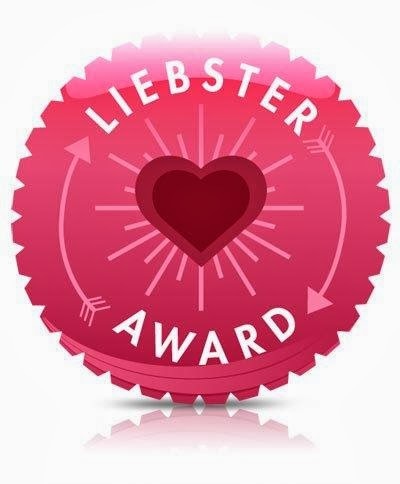 I am so honoured to be awarded by the Liebster Award. My heartiest thanks to the awesome Samar from Glamour Girlz for nominating me for this award. I cannot express my joy through words. I started working as a freelancer and later on from there, I thought of coming up with my own blog too. And that's how it began. 2. When did you start your blog? I started my blog in 2011, November. Green in general, black when it comes to outfit and pink when it is makeup. 4. Name your 5 Favourite Makeup Brands? 6. The most weird comment on your blog post so far? Once I posted something regarding a survey for most fashionable cities, one of my friends who is from Madrid, got annoyed as to why I had listed Barcelona, instead of Madrid in the Top 10. When I said, it was not me, but the source was from a survey done by a reliable website, she said that they are mad. Lol. 7. The blog you would want to visit again & again? 8. Happiest moment of your life? I was starstruck when I got to see Cameron Diaz for a Dior show in Paris. She is sooooo gorgeous and I have always been a fan!!! 9. 2 things that you are currently trying to achieve? 10. Lastly, on a scale of 1 to 10 how much would you rate my blog Glamour Girlz? So that's it. But now, I have to nominate 10 blogs and decide on the questions for them. Link back to the person's blog who has nominated you and convey thanks for giving the award. Answer all the questions posted by the nominator. Nominate 10 more bloggers whom you feel deserve of more subscribers; you pass the award on to them. Contact the nominees and let them know that they have been nominated for the Liebster Award! 1. Your favourite celebrity Diva? 3. One makeup product name that you can associate with? 4. Most over hyped makeup brand? 5. Few essential things you never forget to carry around? 6. Name a city where you would like to be born again, other than your own city? 7. One underrated makeup brand? 8. What would you change about the world if given the powers? 10. Share a beauty tip? Thank you so much Samar for nominating me.And most importantly I want to thank each one of you who have inspired me, motivated me and read my posts, this would not have been possible without your love.